Temple food is vegan food. It is not made from any dairy or animal products. The reason temple food does not include any of these is because the first precept of Buddhism is to not kill but rather protect all beings. Buddha said in the Nirvana Sutra, “Eating meat cuts the seed of compassion.” Temple food represents compassion and a valuing of the lives of all beings. Temple food also never uses any vegetables of the onion family. It is said that consuming cooked food of the onion family will increase lust while eating raw food will increase anger. The defining characteristic of temple food is that it embodies the spirit of meditation and the principle of compassionate interdependence. Only natural seasoning is used in temple food, never artificial flavorings. The usual seasoning includes ground mushrooms, ground kelp, ground sesame, and ground raw beans. 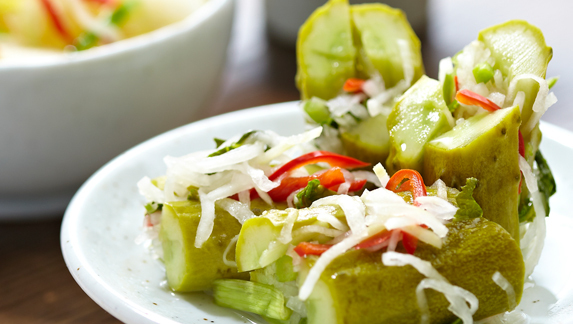 Temples use these natural seasonings to make soup, kimchi, and side dishes which are balanced and rich in flavor. 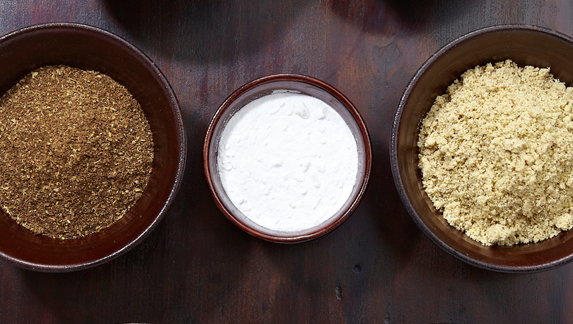 These days, these natural seasonings are beginning to replace MSG and other unhealthy seasonings. One of the characteristics of Korean temple food is preservation in order to eat foods even out of season. Having four distinct seasons, Korea has developed many preserved food recipes such as kimchi, doinjang (soybean paste), gochujang (red pepper paste), ganjang (soy sauce), jangajji (pickled vegetables), chojeorim (vinegar-pickled vegetables), sogumjeorim (salt-pickled vegetables), and jangjeorim (pickled vegetables in pot). These recipes enable foods to be preserved for a long time without losing the supplemental nutrients necessary in a vegetarian diet. Korean temples have various recipes for preparing fermented food. Fermentation is a chemical change caused by the enzymes that bacteria produce. Just like cheese, yogurt and wine in West, zymotechnics is used for making kimchi, doinjang, gochujang, ganjang and shikye (sweet rice drink) in Korea. 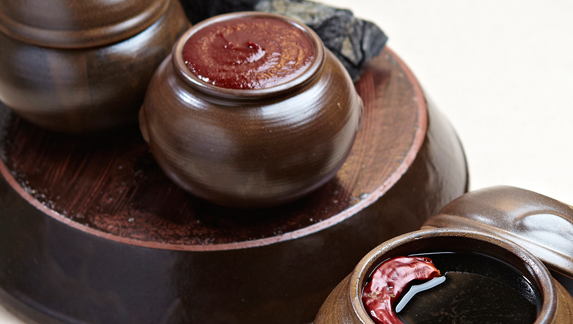 The various nutrients in such fermented food enrich the taste of food. Fermentation also cuts down on cholesterol and has medicinal benefits in that it acts as an anticancer agent and protects the body from disease. Korean temple food is healthy food. Its ingredients do not consist of only carbohydrates, fats, and protein, but are rich in minerals and vitamins. It offers a balanced diet low in cholesterol. Because seasonal fruits and vegetables are used and food is never wasted, temple food is natural and environmentally friendly.